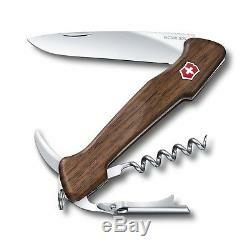 This BRAND NEW Victorinox WINE MASTER WALNUT KNIFE & LEATHER POUCH, NEW IN ORIGINAL BOX. FEATURES with WALNUT WOOD SCALES: NOTE: SLIGHT VARIATIONS IN THE WALNUT WOOD PATTERN FROM THE ONES SHOWN MAKE THIS WINE MASTER UNIQUE!! PLEASE NOTE: THIS SERIES OF WALNUT. ARE LIGHTER THAN THE PICTURES SHOW. 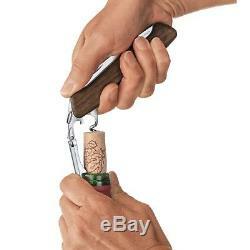 PLEASE LOOK AT THE PHOTO FOR THE UNIQUE LOCKING BLADE CLOSURE. THE GIFT BOX COVER ONLY SHOWS THE WALNUT WINE MASTER PICTURE, so THIS IS NOT A MISTAKE. 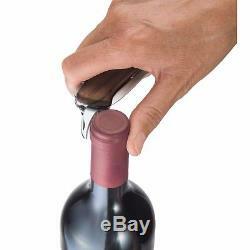 IF YOU RECEIVE THE OLIVE WOOD WINE MASTER, THIS IS THE STANDARD GIFT BOX. THE REVERSE SIDE OF THE BOX SHOWS BOTH KNIVES, AGAIN THIS SERIES OF WALNUT SCALES ARE A LIGHTER WALNUT THAN THE STOCK FACTORY PICTURES SHOW. 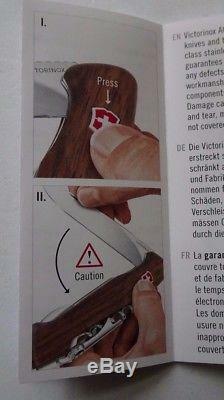 We are an authorized Victorinox dealer specializing in rare and unusual Victorinox knives. 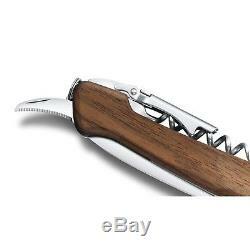 The item "SWISS ARMY VICTORINOX WINE MASTER WALNUT WOOD KNIFE & LEATHER CASE NIB" is in sale since Tuesday, June 5, 2018. 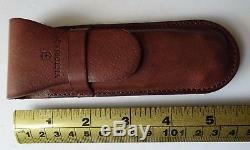 This item is in the category "Collectibles\Knives, Swords & Blades\Collectible Folding Knives\Modern Folding Knives\Factory Manufactured".llc" and is located in Massachusetts. This item can be shipped to United States.